You might have heard a lot about the Internet of Things (IoT), cloud computing, Big data, Artificial Intelligence (AI tool), BI tool, Macro factory, Industry 4.0, SewBot, and fully automated production line where robot stitches garments. Yes, all are true. And the technology is shaping the future apparel and fashion manufacturing industry. Saving money in various cost centers, reduction of paperwork, increased productivity, increased visibility of the process, accuracy in data and reporting are major gains from the latest technology solutions. To some extent, all garment manufacturers use software and software applications. As I am working in a company that provides PLM solutions, ERP, shop floor control system and I had a chance to work with many garment manufacturing companies, I have seen extreme level of technology applications by the garment manufacturers. In this article, I have shared a list of apparel technology solutions. Continue reading to learn more. 1. Enterprise resource solution (ERP) – Apparel ERP comes with many modules and provide customer-specific solutions. Generating PO, Challans, Bills, Fabric indent, inventory management, garment costing, production scheduling activities can be digitalized by using a single ERP system. WFX, Stage, APPS to name a few ERP solutions providers based in India. 2. CAD Systems – Computer aided design (CAD), a technology that eases the pattern making task for apparel products. With the CAD tools, garment patterns are developed in computer. Digital pattern can be easily modified. Other than pattern making these activities can be performed using a CAD solution - pattern making, digitization of paper pattern (manual pattern) pattern grading, nesting, marker making, fabric consumption. Check the list of CAD solutions providers. 3. 3D Simulation – Using the 3D simulation you can develop 3D garment on the digital platform. You can see how the pattern fit to a dress form. 4. 3D body Scanner – 3D body scanner is used for measuring the human body. This technology helps in getting first and accurate 3D model and full body measurement. Learn more about 3D body scanner and 3D body scanning solution providers. 5. Virtual fitting room and sample approval – In a virtual fitting room a virtual dress form/virtual human is used to check the garment fit. Even the fall of the cloth can be seen with the garment fit. Using this technology garment manufacturer can take sample approval online. 6. Automatic spreading machine with data capturing – See the list of automatic fabric spreading solution providers. 7. Automatic cutting machine (CAM) – CAM systems are very common in the apparel manufacturing industry. Here is the list of automatic cutting solution providers. 8. 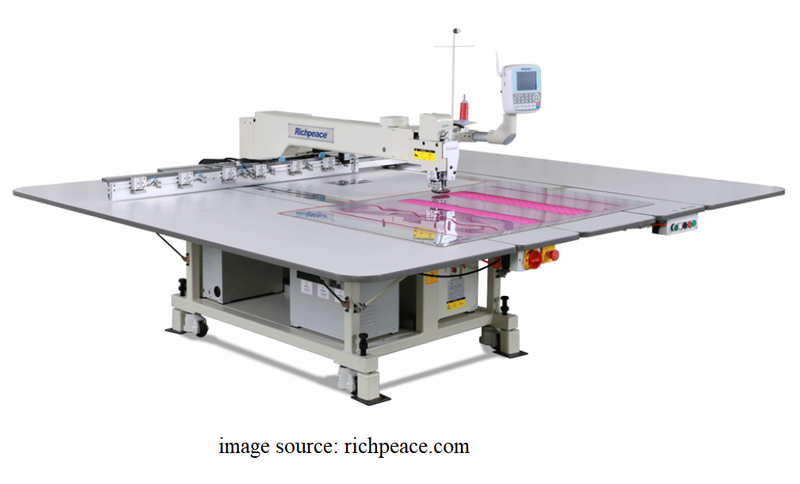 Automatic single ply cutting machine – For making custom made apparels, single ply of fabric need to cut. To speed up the cutting processes and automate the cutting process automatic cutting machines are very useful. In custom-made garment (Made to measure) manufacturing, single ply cutter is widely used. 9. Fabric cut planning Software (Fabric) – Fabric utilization in cutting can be improved by using the latest technology solution available for this purpose. Intellocut is one such kind of system for fabric saving and material cut planning. 10. Fabric inspection machine and fabric quality report – Now-a-days fabric inspection machine comes with digital data entry for measuring fabric defects and 4-point system data analysis and report. 11. Product SAM estimation – To establish an accurate standard time (SAM) of a garment, PMTS based software is very popular. GSD, SewEasy, ProSMV and timeSSD are few solutions, used for SAM estimation. 14. QC / SQC Application – For shipment inspection, many buyers use inspection app. The quality inspection directly enters inspection data in the application (tablet) and upload Inspection report to their PLM. For inline, end-of-line inspection SQC applications are available. BlueCherry has such product. 15. Machine maintenance software – For maintaining all machines, and equipment record. Keeping the machine usage record. Additionally, machine breakdown maintenance records. 16. Production planning tool – For end to end production planning and processes scheduling software. Fast React provides such solutions. 17. Computerized Embroidery and quilting machine – In high fashion apparel manufacturing, embroidery designs are commonly found which includes hand embroidery as well as machine embroidery. For the first production, a wide range of design selection and quick design change computerized embroidery machine play a major role. 18. Technology Advancement in sewing machine – Sewing machine with computer panel and display are common now. Sewing operator can easily select stitch type, stitch number before sewing. A machine will stop automatically when a number of stitches are completed. There are many developments done in sewing machines. You can study those in sewing machine manufacturers websites, like Juki, Brother, Duerkopp Adler. 19. Template stitching /Profile stitching/ Automatic workstation – Profile stitching machine are a semi-automatic machine. Profile stitching machine works like computerized embroidery machines. After loading the work into frame, operator don’t need to handle the material. An operator can attend more than workstation at a time. There are automatic sewing machines for manufacturing jeans components by DuerKopp Adler. 21. Product lifecycle management (PLM) – The PLM software is an information management system of an enterprise. The PLM system can integrate data, processes, business systems and, ultimately, people in an extended enterprise. PLM software allows end-user to manage this information throughout the entire lifecycle of a product efficiently and cost-effectively, from innovation, design, and manufacture, through commercialization and disposal. BlueCherry and Centric. See the full list of PLM solution providers. 22. 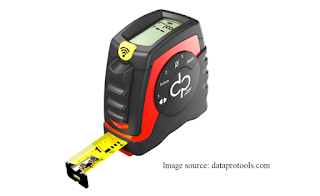 Digital Measuring Tape – By using digital tapes, measurement can be directly transferred to the computer (Excel sheet) wirelessly. Example, Datapro. Mobile applications are also available for digital measuring. 23. Thread consumption estimate software – Check A&F and Coats solutions on this. 24. Thread selection and ordering application – Coats has launched an application for online thread selection and ordering. 25. Barcode printing machine – Barcode printing machine is required for printing carton sticker. 26. Digital garment and textile printing – For the fast printing and giving the best print quality without limiting the number colors in a design digital printing solution is there. Sample approval lead time for the printed design reduces by using digital printing technology. Additionally, In the age fast fashion, consumers like custom prints in their t-shirts and seller need to print a single garment for a design. The digital textile print solution come into play. Examples - Kornit, Textjet, Colorjet etc. 28. 3D Textile printing - By using 3D textile printing, 3D textile object or cellular fabric is developed. Till date there is no much use of 3D textiles. 29. SewBot - SewBot is a robot that sews garments without human intervention. 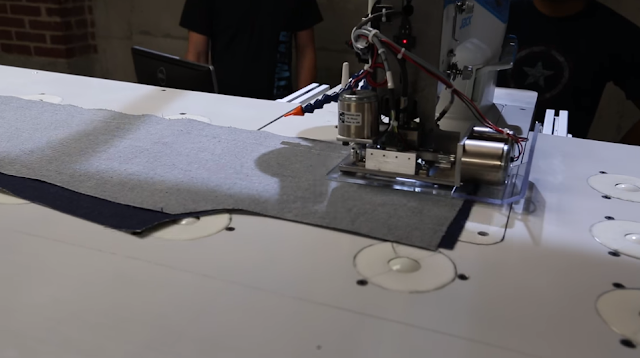 An Atlanta-based company called SoftWear Automation has created the Sewbot. Sewbot is already installed in t-shirt manufacturing. This might be the future of readymade garment manufacturing for staple products. 30. Employee attendance by finger scanning - We all need to keep employee attendance record. Card punching machine, RFID tags are still there. This is the latest technology used by many garment factories for attendance recording. 31. Payroll and Tax calculation software – This is also the most common software solution every company obtains for employee payroll management and tax calculation. 32. Web ticketing system – In a business, we all need support from the other departments. Normally we call the person or write email and request for help to fix the issues. Verbal communication and mailing system good but Web ticketing system is the best way for raising issue and asking for the solutions. Support team easily find the list of pending things and follow up of an old ticket can be done. 33. Email solution - For small business owners who wants emailing solution and promote their company name/brand can use G suite or Zoho free e-mail for limited users. There are many small-scale domestic readymade garment manufacturers and domestic brands who needs additional IT technology solutions for selling RMG products. 34. Clothing e-Commerce website – You can sell your products through multiple sales channels. For selling your products directly to customer or resellers; and managing your business by using e-commerce business solutions like Unicommerce and Shopify. 35. Payment gateway - If you like to expand your market and choose multiple channels for selling your products, you need a digital payment receiving option. Where without sharing company’s bank account details you can receive payment from your customers. You can sell digital products as well as physical goods by integrating payment gateway in your website. Example, Instamojo (affiliate link) and Paypal (international payment) for selling your products online. There are many other custom software/technology solutions for the apparel manufacturers and apparel business owners. If you have a database (raw data in SQL) for production data, you can make customized reports in Crystal or VB.net or even you can develop your desired custom reports in Spreadsheet (MS Excel) using SQL query. This list contains software solutions looking at whole apparel business supply chain. In practice everyone doesn’t need to use all the available technology. Even many existing garment factories don't have latest technology in the manufacturing plant, still they run the business successfully. Disclaimer: The examples and solution providers’ name shown in the above list are for your information only. I am not promoting any of the listed products. Are you looking for the latest technology solutions for your apparel manufacturing unit? Check this list and find what kind of solutions you may have to run business.